May 10, 2018 (Tulsa, Okla.) This summer, Philbrook presents an original exhibition celebrating the groundbreaking work of three legendary Impressionist artists: Mary Cassatt, Edgar Degas, and Camille Pissarro. Featuring more than 90 prints and key paintings on loan from institutions including The Metropolitan Museum of Art, the Museum of Fine Arts, Boston, and the National Gallery of Art. Innovative Impressions is the first in-depth study to focus on the prints of these three artists together. It explores their remarkable graphic work and the techniques they developed through collaboration and experimentation. The artists of the Impressionist group are known for their innovative painting methods– approaches that redefined the formal qualities as well as the subjects that were acceptable in art. Three of these innovators, Cassatt, Degas, and Pissarro, similarly expanded the boundaries of the print medium. In 1879 and 1880 they formed the most active core of a group of artists planning to create a periodical featuring their prints. Through this collaborative effort, they challenged each other to develop a new language of printmaking whose visual and expressive potential went well beyond the traditional reproductive purpose of the medium. Indeed, the intimacy of small-scale works on paper at times spurred the artists to be even more daringly creative than they were in their paintings. Their interactions and engagement with printmaking varied over time, culminating in the 1890s, when each developed distinctive methods of introducing color into their work. Innovative Impressions highlights the artists’ working processes by including multiple states, or versions, of several prints, allowing viewers to appreciate the experimental techniques through which the images were developed. 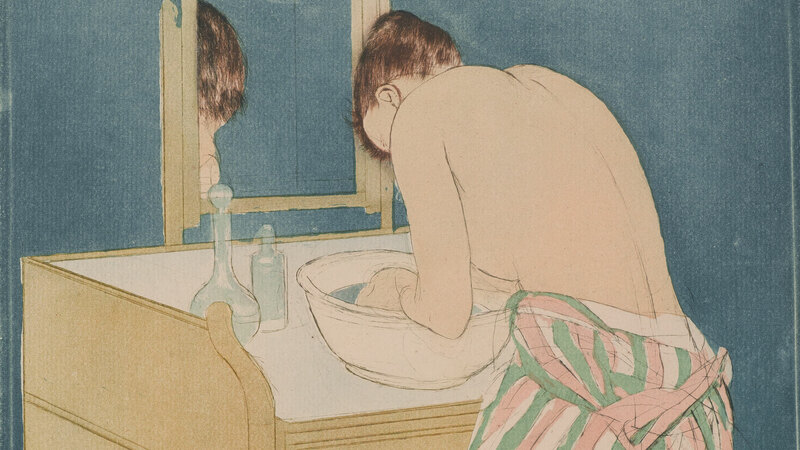 The exhibition also includes examples of Cassatt’s 1890–91 series of ten color prints–one of the most significant achievements of her career–as well as several prints that have rarely been exhibited, and a group of little-known monotypes by Pissarro, who was probably inspired by Degas to take up this technique. Innovative Impressions is the centerpiece in Philbrook’s “Summer in France,” a full season of programs celebrating the art, food, wine, and culture of France. Museum visitors will enjoy films on the lawn (Moulin Rouge, Ratatouille), picnicking, chats with historians, special celebrations (Bastille Day, Tour de France), and much more. As a special opportunity for Philbrook Members, the Museum has partnered with Tulsa Global Alliance to give away a 7-day trip for 2 to Tulsa’s French sister city, Amiens. Innovative Impressions also boasts a fully-operational Print Studio staffed by artists-in-residence producing new work on site. Guests can watch them make prints, participate during special events, and buy the work. A fully illustrated catalogue accompanies the exhibition, with essays by Richard R. Brettell, a leading scholar of Impressionism and expert on Pissarro, and by Sarah Lees, Ruth G. Hardman Curator of European Art at Philbrook, tracing the development of the three artists’ work. Innovative Impressions is supported by local and national Exhibition Series Sponsors and, in part, by an award from the National Endowment for the Arts.